It all seems to be a bit quiet here at the moment. 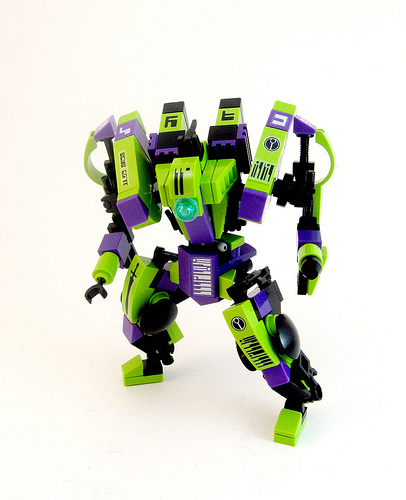 Luckily Aaron Dayman made the Devastaku a little bit back which has some lime and purple for us to ogle. This reminds me of the Transformers construction toys from the 80s that combined to make a mecha. Wow! Those colors look better together than I could ever have dreamed. It just makes the model pop so vibrantly.